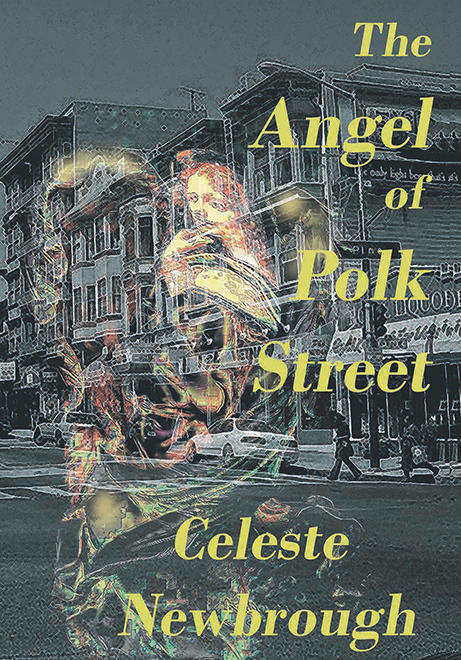 The Angel of Polk Street tells the powerful story of a child's unique coming of age. Leslie Lawrence, nicknamed Lee, and his mother, Veronica, are torn apart when he is kidnapped at age eight and held for years by an erratic captor in a desert shack. In her loss, Veronica turns from Jungian dream therapist to forensic psychiatrist. In the early teens, Lee begins to identify as a girl and takes on his/her first name, Leslie. Leslie escapes her violent kidnapper. As a transgender teen, she hitchhikes to San Francisco's tawdry Tenderloin District, performing a strip act on Polk Street dressed as an angel. She is finally identified and returned to Veronica. Leslie and her mother struggle together to recover their lives and their love.